You’ve logged the miles, you’ve taken the post-workout naps, and you’ve eaten a whole lot of carbohydrates along the way. Now, your goal race – whether it’s your first 5K or that ultra you’ve spent 12 months training for – is just a few hours away. Lay out your outfit – including shoes, socks, your bib, and safety pins – and every single thing you may need before you leave the house or hotel. (Anti-chafe balm, electronics, directions, something warm to wear before the start, a change of clothes for after the race, etc.) Make sure everything you need is fully charged, and even consider prepping your breakfast and pre-race coffee ahead of time. “I always read all the pre-race information in the race packets or on the website,” says Angela Colarusso Boonstra from Hoboken, NJ. “I want to know where I need to be when – and I still show up way too early, just to be safe.” Factor in extra time for traffic, parking, walking to the start, [multiple] bathroom visits with long lines, and time to warm up. Photo courtesy of Polar Global Ambassador Sarah Pappusch. If you love baths, take a bath (just don’t stay in a super hot one for too long – you don’t want to get dehydrated), and if face masks are your thing, relax with one for a while. 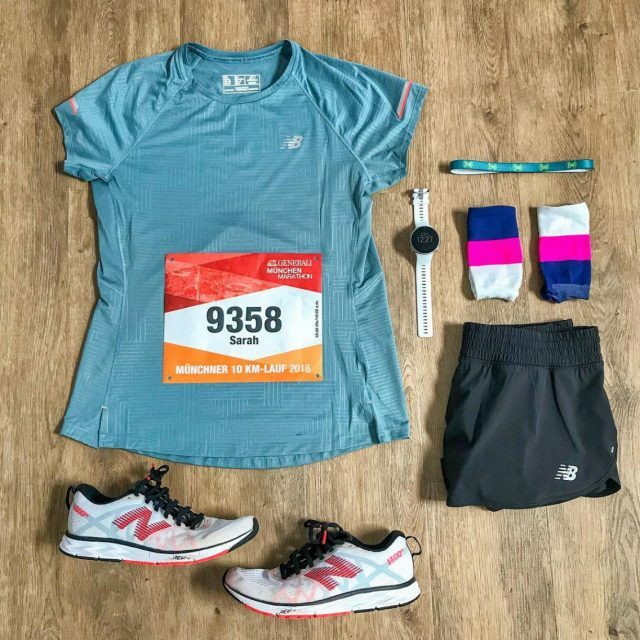 Professional runner and Polar athlete Molly Huddle swears by pre-race manicures – bonus points if you paint your nails in the official race colors. Dori Gray, a marathoner from Jersey City, NJ, swears by the “Lucky Penny” episode of How I Met Your Mother – that’s the one where Barney runs the New York City Marathon. “It happened to be on the night before my first marathon, and a ritual was born,” she says. Don’t stress about this one too much. (Definitely double-check that your alarm is set for the right time – and triple-check that it’s set for AM, not PM.) Try meditating for five to 10 minutes (if you’re new to meditating, and app like Headspace will help you get started), or enlist a noisemaker or app like aSleep to help you snooze soundly.